The Cuban sandwich is one of the most recognized sandwiches for being amazingly tasty. 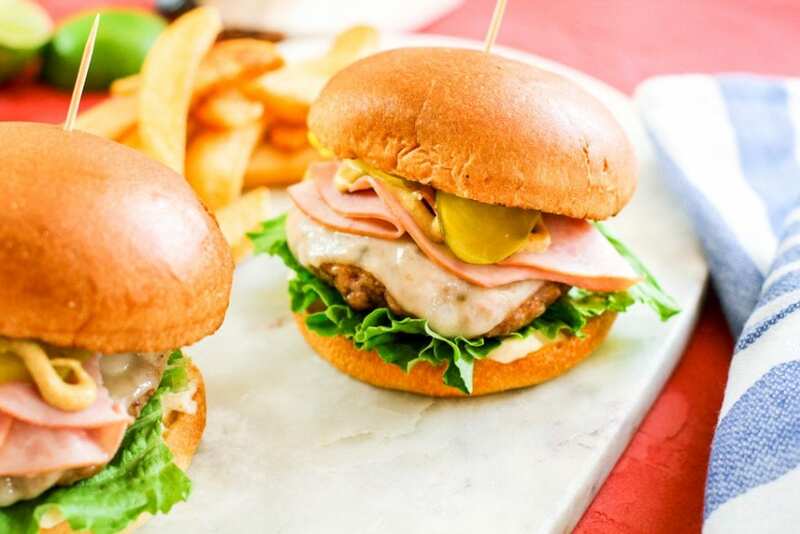 Now this Cuban burger, also known as a Cuban sandwich burger (or Cubano) is perfect for the grill. A Cuban sandwich is a sandwich originated in Cuba using pernil (pulled pork), ham slices, Swiss cheese, yellow mustard, pickles, and bread where they are grilled with a press until the cheese melts and it turns into a panini of sorts. 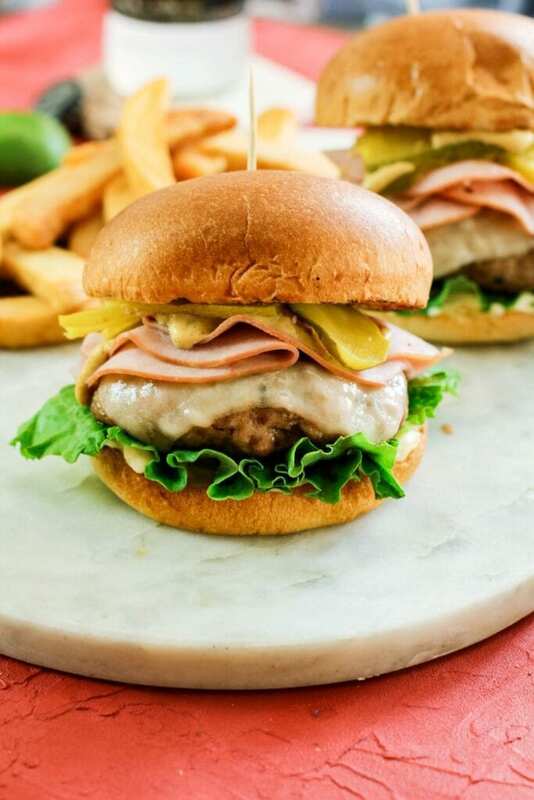 For this Cuban sandwich inspired Cuban burger, we will be replacing the pernil with ground pork. Pernil is known for being extremely flavorful, so we will be seasoning our ground pork with adobo seasoning and fresh cilantro. Feel free to add more spices if desired or even chopped up onions etc. Remember, the tip to any good burger is to not over mix the meat, same applies to this Cuban burger. 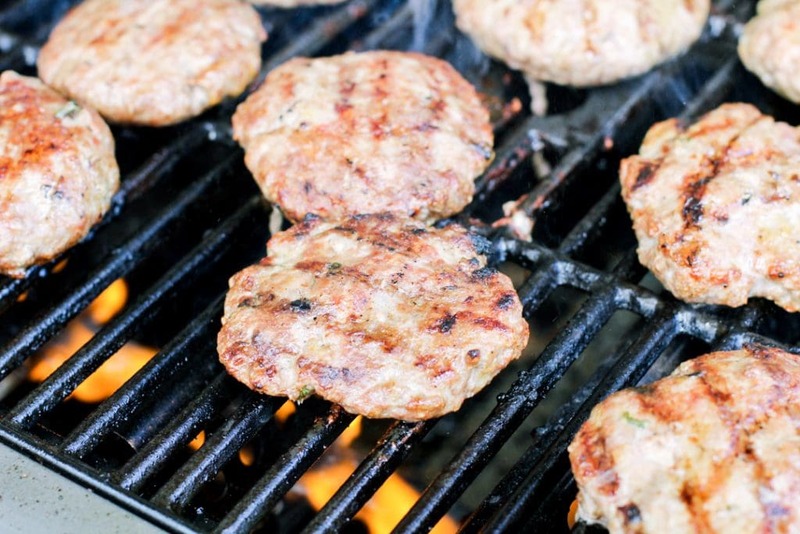 Get in, mix it up, pat it into 9-10 Cuban burgers and preheat your grill! My Cuban burgers are about a quarter pound, so they’re pretty hearty! I like to let it cook for 8-10 minutes, flipped it once halfway through. Remember to cook it until it reaches an internal temperature of at least 160 degrees Fahrenheit. I like my Cuban burgers at a medium well. So the timing is completely up to you on how long to cook a burger, as long as it is at least 160 degrees. Use lean ground pork. This Cuban pork burger needs the pork, if desired, you can do a half beef, half pork mixture. Use quality Swiss cheese, double the cheese if desired, and melt the cheese when the burgers are done, while on the grill for a few seconds. 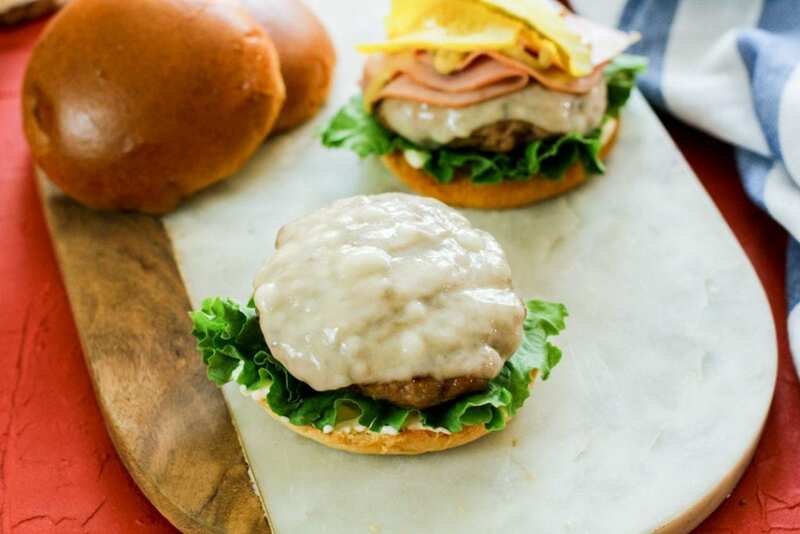 Use mustard instead of ketchup and add some mayonnaise to your burger. Thin sliced pickles are amazing here. Simplicity will make this Cuban burger stand out! Add seasonings liberally to your ground pork. Serve with a side of fries and ketchup mayo sauce. 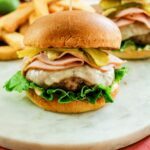 This classic Cuban sandwich burger is amazing! 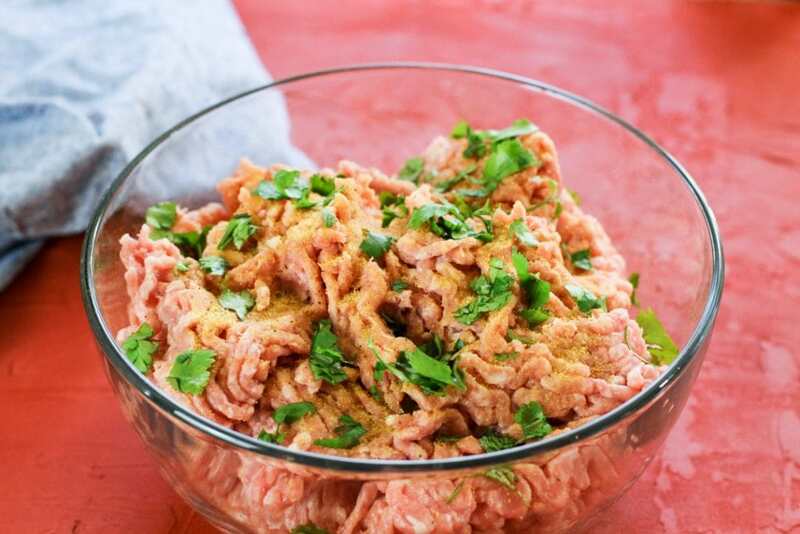 In a large bowl, gently mix ground pork, Adobo, and cilantro. Mix together, and to a pre-heated grill over medium high heat, cook 4-7 minutes per side, until internal temperature reaches at least 160 degrees Fahrenheit. When the burgers are done, top with cheese to melt and remove Cuban burgers from the grill. Build your Cuban burgers with remaining ingredients.